Endoscopic balloon dilatation (EBD) is a recognized treatment for symptomatic Crohn's strictures. Dr. Kenneth Schroeder M.D., talks about a recent study, published in Alimentary Pharmacology and Therapeutics, that examines the efficacy, as well as complication rates for EBD. 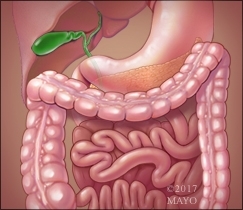 The role of EBD in the management of Crohn's strictures may need to be redefined, and future studies are needed to determine whether endoscopic balloon dilatation has significant long-term benefits. Dr. Schroeder is a gastroenterologist at Mayo Clinic.